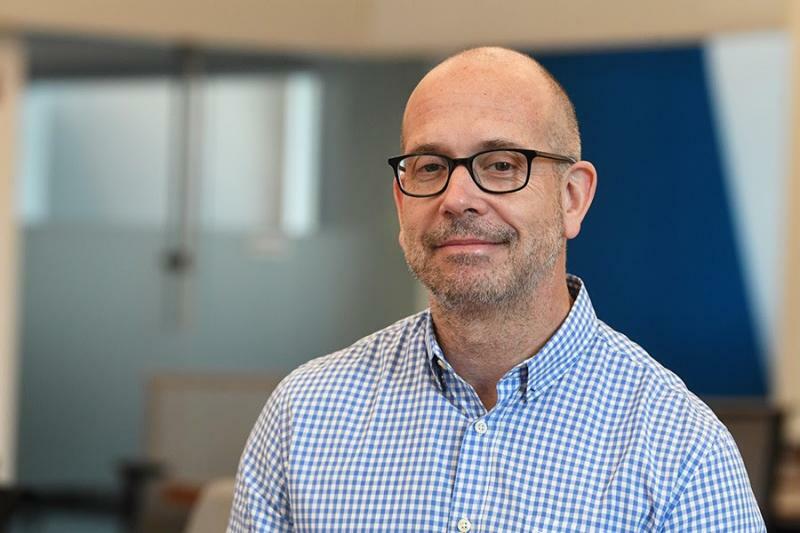 Mark Hansen joined Columbia Journalism School in July 2012 and took on the position of inaugural director of the east coast branch of the Brown Institute for Media Innovation. Prior to joining Columbia, he was a professor at UCLA, holding appointments in the Department of Statistics, the Department of Design Media Arts and the Department of Electrical Engineering. He was also a Co-PI for Center for Embedded Networked Sensing, an NSF Science and Technology Center devoted to the study of sensor networks. Prior to UCLA, Hansen was a Member of the Technical Staff at Bell Laboratories in Murray Hill, New Jersey. For nearly three decades, Hansen has been working at the intersection of data, art and technology. Hansen has an active art practice involving the presentation of data for the public. His work with Ben Rubin, Jer Thorp and The Office for Creative Research has been exhibited at the Museum of Modern Art in New York, the Whitney Museum, the Centro de Arte Reina Sofia, the London Science Museum, the Cartier Foundation in Paris, and the lobbies of the New York Times building and the Public Theater (permanent displays) in Manhattan. In terms of his journalistic experience, Hansen has been a long-standing visiting researcher at the New York Times R&D Lab, a late-career intern at the Marshall Project, and a consultant with HBO Sports. Hansen teaches mainly advanced data analysis and computational journalism at Columbia. In 2018, Hansen’s Computational Journalism course at Columbia Journalism School contributed the original reporting for the New York Times’ piece, The Follower Factory, which exposed the bot economy behind the sale of fake followers on Twitter. In July 2018, the article was cited by Twitter as the reason for its “purge” of tens of millions of suspicious accounts. Hansen holds a B.S. in Applied Math from the University of California, Davis, and a Ph.D and M.A. in Statistics from the University of California, Berkeley. He has been awarded eight patents and has published over 60 papers in data science, statistics and computer science. Here is Hansen’s current CV. This course is designed to give students who have taken and passed (and hopefully enjoyed) an introductory course on Statistics a more advanced treatment of the process of storytelling with data. This includes: Frameworks and tools for finding, accessing, manipulating and publishing data (APIs, various databases, and some techniques for data "cleaning"); simulation-based approaches to statistical inference when data have special designs (surveys, A/B testing); "models" for data and the stories they tell (regression, trees); and advanced tools for visualization (to explore both data, the effects of data processing, and models). Throughout we will emphasize best practices for documenting your code and analysis ("showing your work").